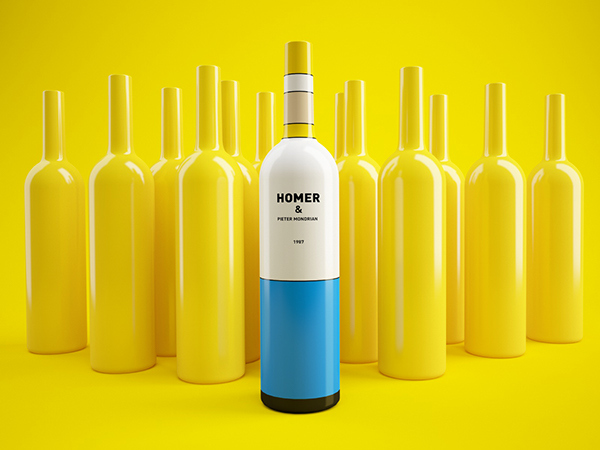 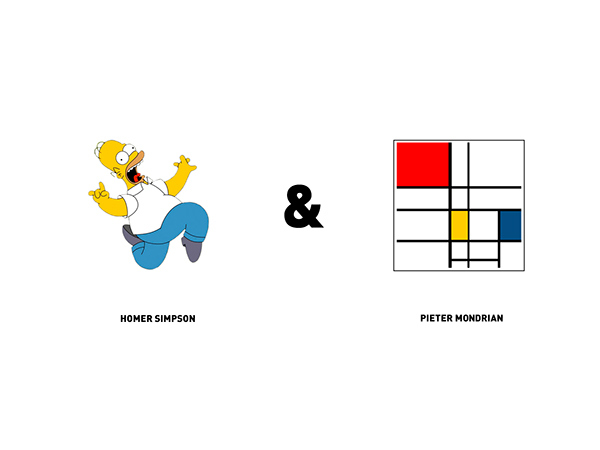 Russian designers Constantin Bolimond and Dmitry Patsukevich have created a couple of brightly colored wine bottle designs that are based on Homer and Marge Simpsons from animated TV series The Simpsons, and inspired by the works of famous painter Pieter Mondrian. 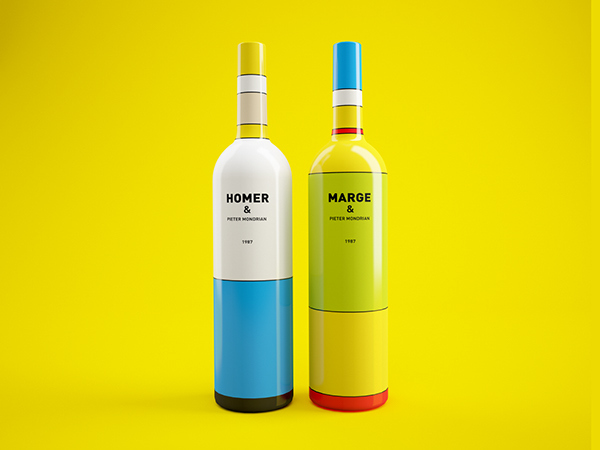 Cleverly using bold color blocks, they have managed to turn the wine bottles into easily recognizable graphic representations of the beloved fictional characters. 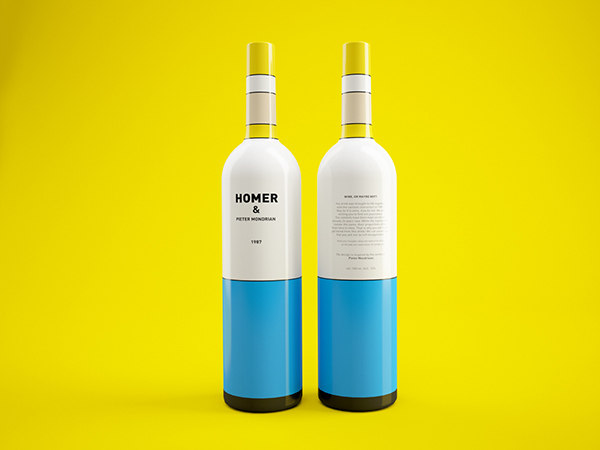 For instance, the body of the Homer bottle corresponds to his white and blue outfit, while the top of the Marge bottle represents her iconic blue beehive hair-do. 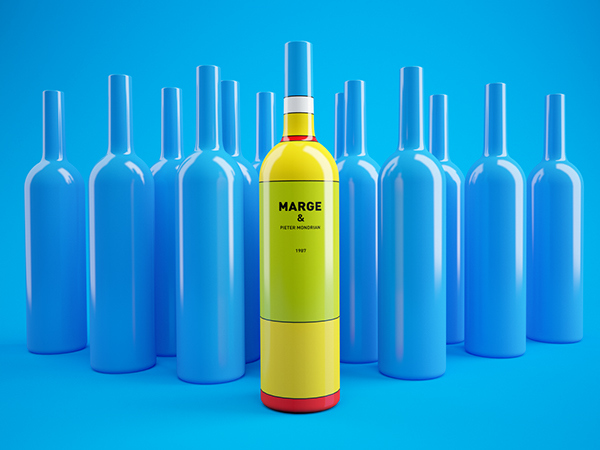 Scroll down for more images of these wacky wine bottles.